I think the patronage model is a great idea — when it works. But not if it just replicates the inequalities inherent in our current system. Patreon seems like a way to address this issue—a way for the private sector to step in and do what the government won’t yet do. But I’m worried that it’s just another case of Silicon Valley profiteers skimming a cut off of people at the bottom of the labor market. It’s a kind of get-rich-quick scheme that seduces people into creating content for free. In order to be a successful creator on Patreon, one first has to take several steps “on spec”. This might involve posting free content to Patreon; writing content elsewhere, such as on Medium; or posting requests for patrons on Twitter and other social media channels. All of this back-end work, which largely goes unseen, is still no guarantee of success. And yet the prospect is too good to pass up: one could be just a few tweets or a viral blog post away from a treasure trove of eager patrons. This multi-tiered workforce applies to Patreon too. Take a look at the image to the left. All of the examples shown are of creators who make at least $1,000/month. But this is the cream of the crop, not the average user of the platform. Destin, of Smarter Every Day, recently interviewed President Obama; Neil deGrasse Tyson is the host of the popular Cosmos TV series. Here’s a more representative sample. 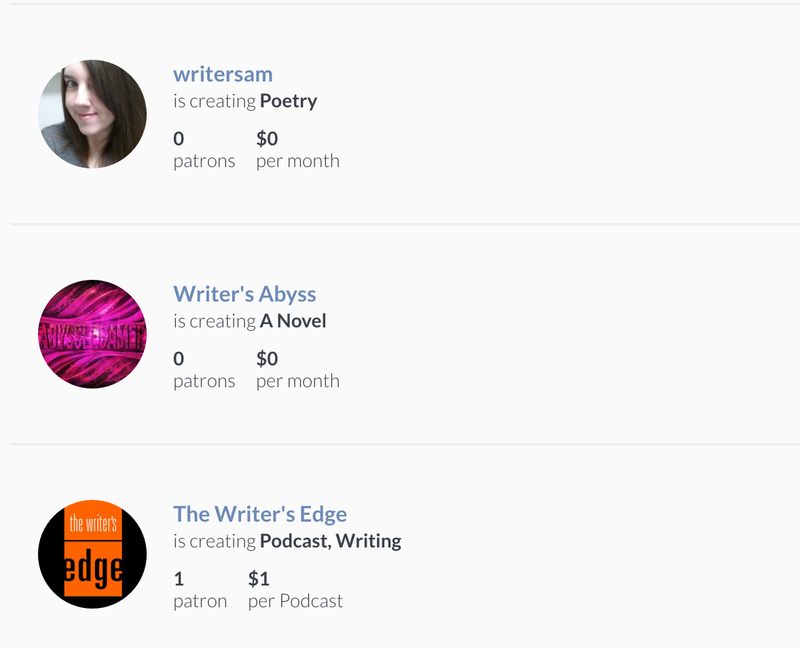 Most writers don’t make any money on Patreon because there isn’t that much money to be made. We don’t yet live in a culture that values supporting artists before they create their art — or so that they can create it. That’s the cultural narrative Patreon will have to shift if it wants consumers to take its model seriously. The time and energy an artist spends promoting their Patreon page is not inconsequential; many create videos, contests, and other forms of outreach in order to attract supporters. That investment is a gamble. 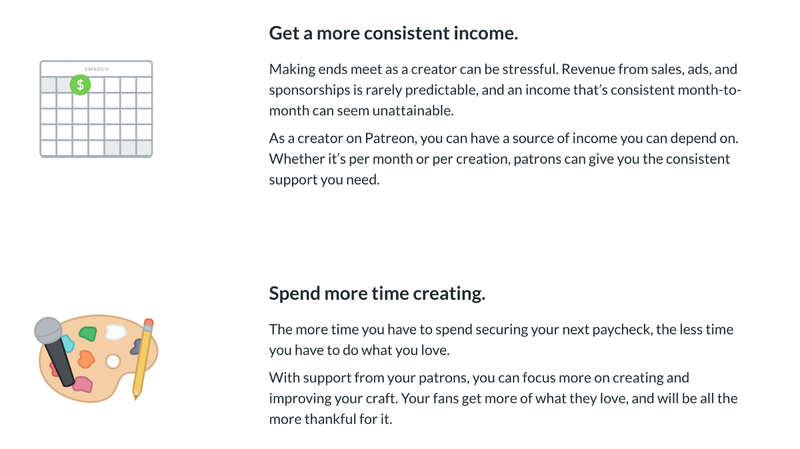 If the goal of Patreon is to give artists the freedom to focus on their art, it fails at it — it simply adds more busywork to their to-do list. So far, Patreon is at best a subscription service for established artists, not a way for struggling artists to find support, or even peace of mind. Most artists are probably better off making money the old-fashioned way — selling their merchandise, applying for grants, going on tour, working a day job. By giving artists false hope, Patreon helps maintain the status quo. It doesn’t address the root causes of why artists struggle to get by. It claims that an artist can “spend more time creating” — but what exactly will they be creating? More art, or just more promo materials? 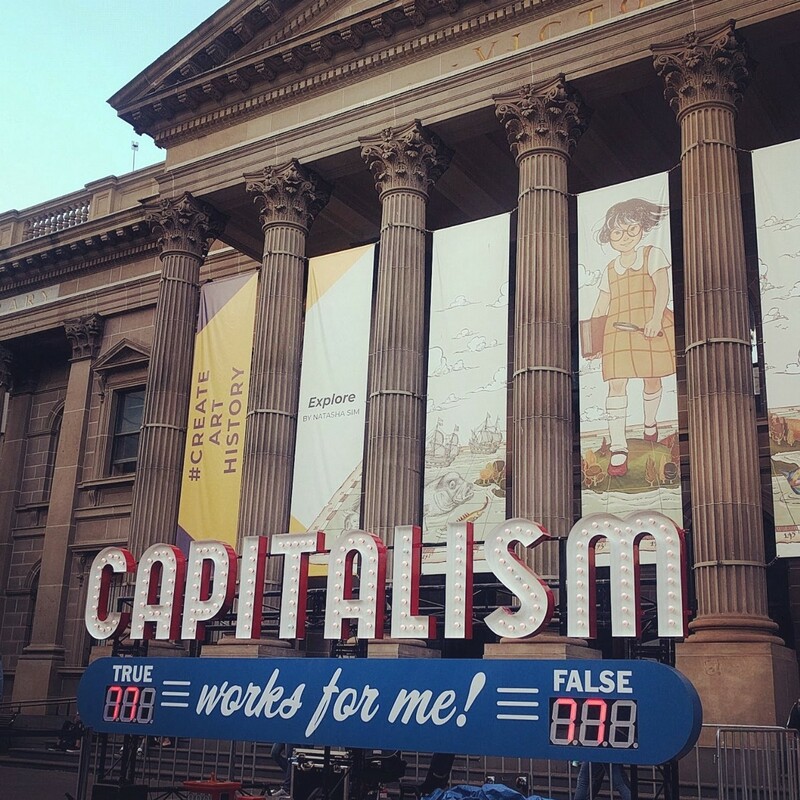 Artists don’t need another platform on which to distribute their work for free; they need real financial security. It will take more than crowdfunding to make that happen.